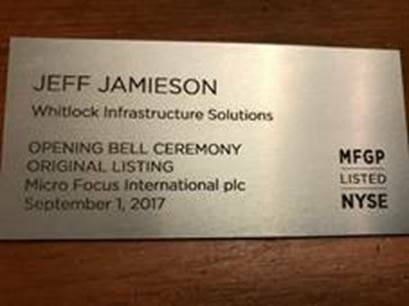 What an honor to participate and to represent Whitlock at this historic event, that is, the ringing of the bell with the executives of Micro Focus! 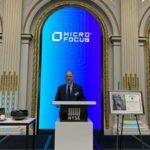 I admit that I was not prepared for the humbling experience, and was not aware of the history surrounding the NYSE. 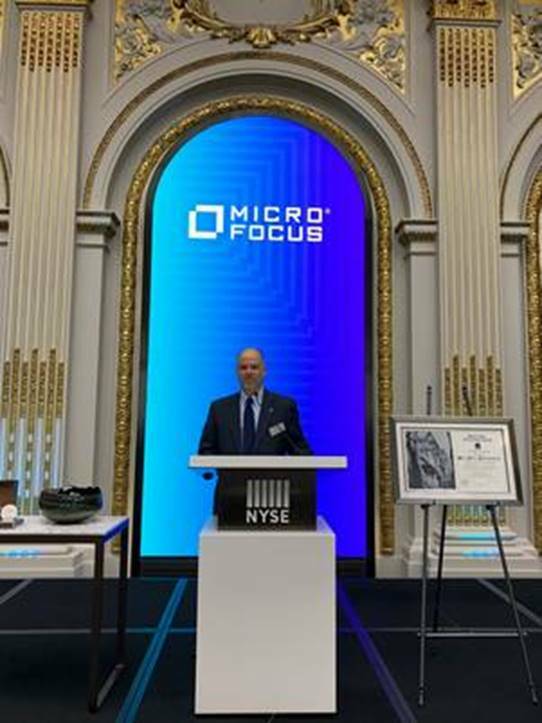 I was excited to be attending and arrived early at the NYSE and found the entire Micro Focus leadership team standing at the foot of stairs in front of Federal Hall across from the NYSE. Chris Hsu was there, beaming with excitement. 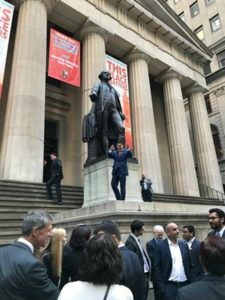 In this photo, he is calling us all up to the statue of George Washington on the steps of Federal Hall for a photo. 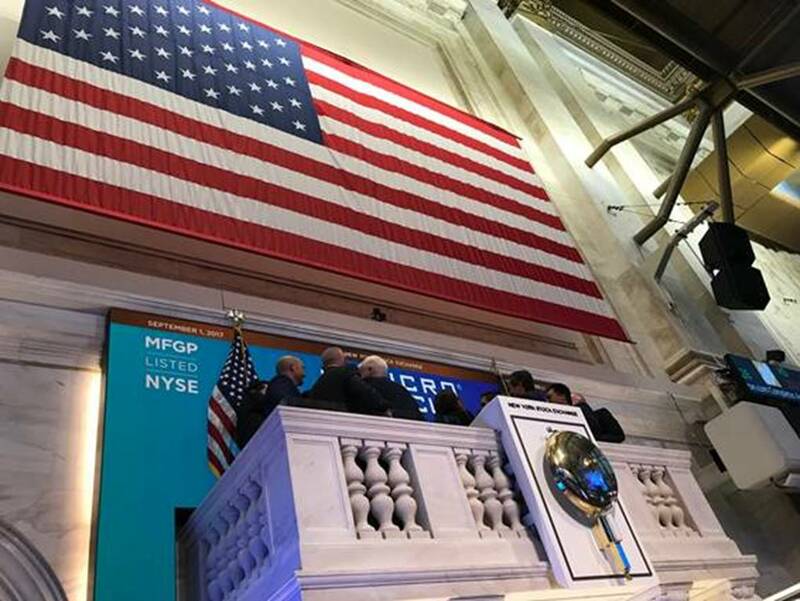 The original Federal Hall structure on the site was built as New York’s second City Hall in 1699 – 1703, on Wall Street, in what is today the Financial District of Lower Manhattan. The first inauguration of George Washington as the first President of the United States was held on Thursday, April 30, 1789 on the balcony of Federal Hall in New York City, New York. The inauguration marked the commencement of the first four-year term of George Washington as President. Chancellor of New York Robert Livingston administered the presidential oath of office. With his inauguration, the executive branch of the United States government officially began operations under the new framework of government established by the 1787 Constitution. The first term of John Adams as Vice President commenced on April 21, 1789, when he assumed his duties as presiding officer of the United States Senate in the very same building. 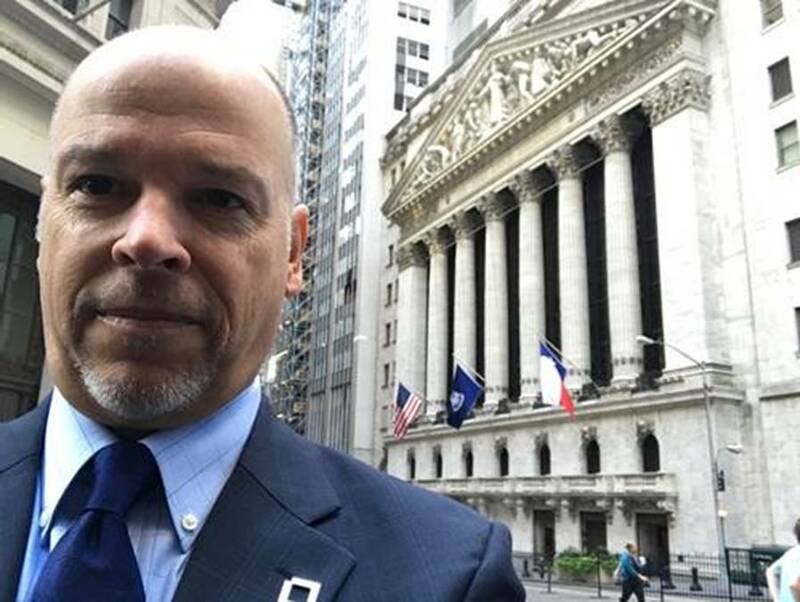 As a background for our photo, the photographer used the front of the NYSE. The photo below is the view we had from the George Washington statue. After taking the photo above we entered into the building itself. The operation is truly first class and managed with precision. As you would imagine, security is tight, but handled very well. As the team (~70 of us) went through security (ID check, metal detectors, etc.) 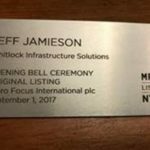 we gathered in an initial room with metal badges prepared for us all (see below), video screens emblazoned with the Micro Focus logo, historical artifacts, etc. 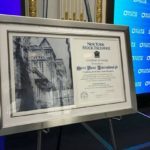 Once all in, we made our way to the elevators and went up to a reception room where Chris Hsu was presented with a gavel, original certificate of listing, and commemorative coin. 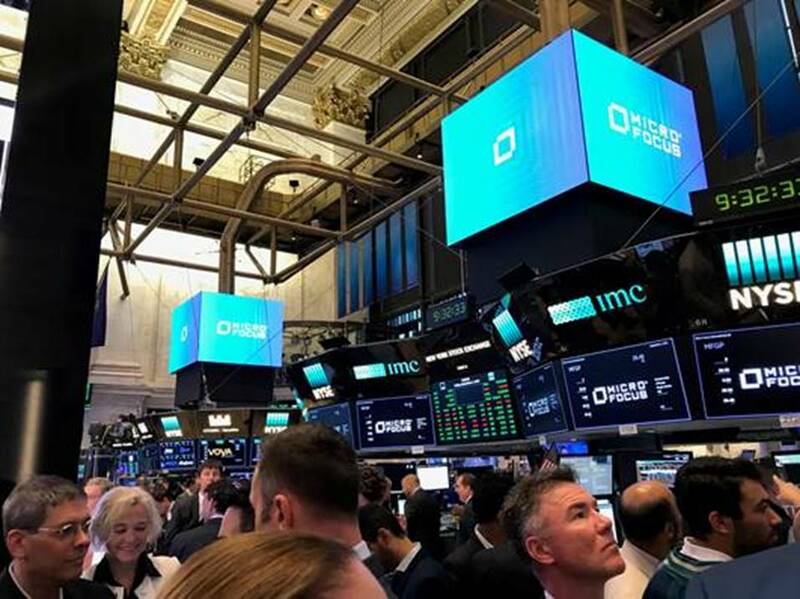 From there, we were escorted to the trading floor. 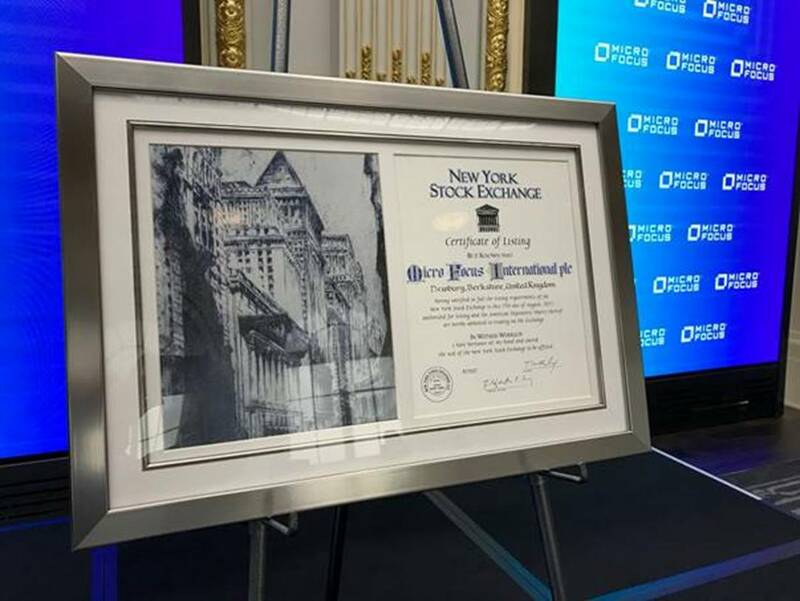 As we walked, the traders were all saying, “Congratulations!” or “Celebrate!”. 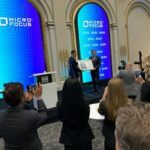 Every other video screen on the floor had the Micro Focus logo. We made our way to podium, the entire exchange is applauding…it felt like a college football game! Standing there, crowd roaring, bell ringing, and American flag in the background! It was a special moment and a once in a lifetime experience. 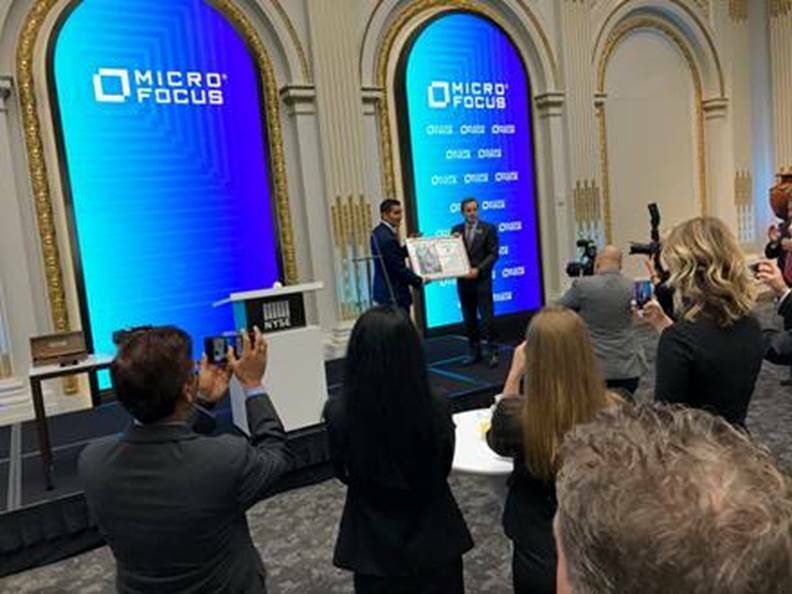 All the best to the (new) Micro Focus organization; we appreciate being a part of Day 1, and look forward to the days to come!